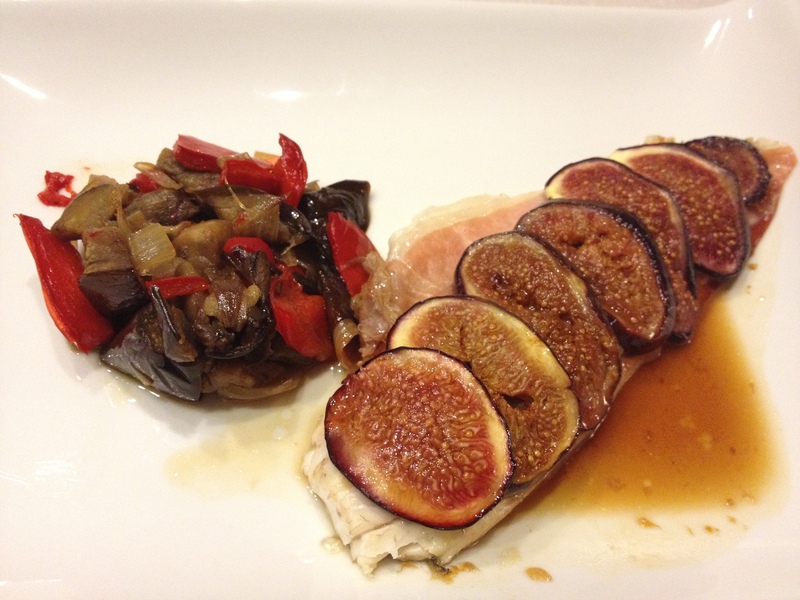 Seabass layered with prosciutto and figs, and a side of roasted vegetables. Another beautiful September day in Carole’s kitchen in Kervignac, a small seaside village in Brittany. 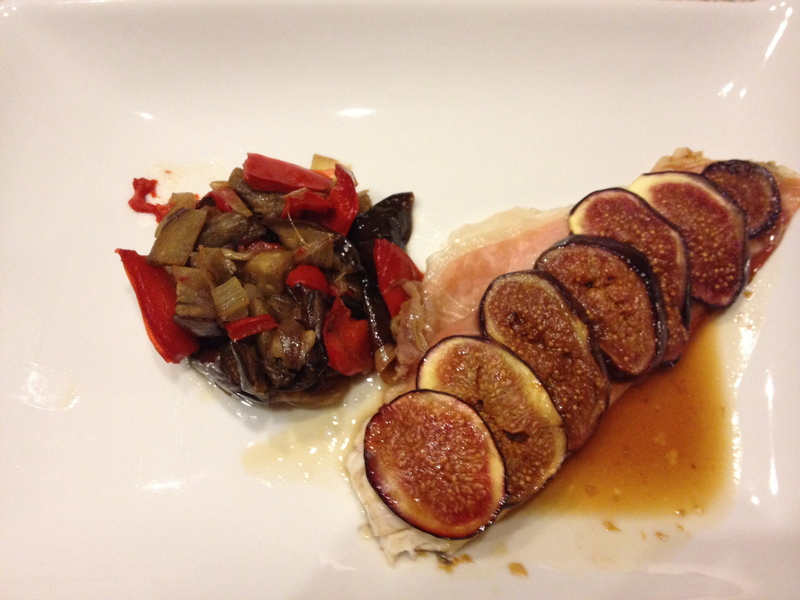 This light, healthy recipe utilizes one of my favorite ingredients: fresh, juicy, ripe figs. Cut the eggplant into large quarters. Slice the red peppers into strips and slice the onion into chunks. 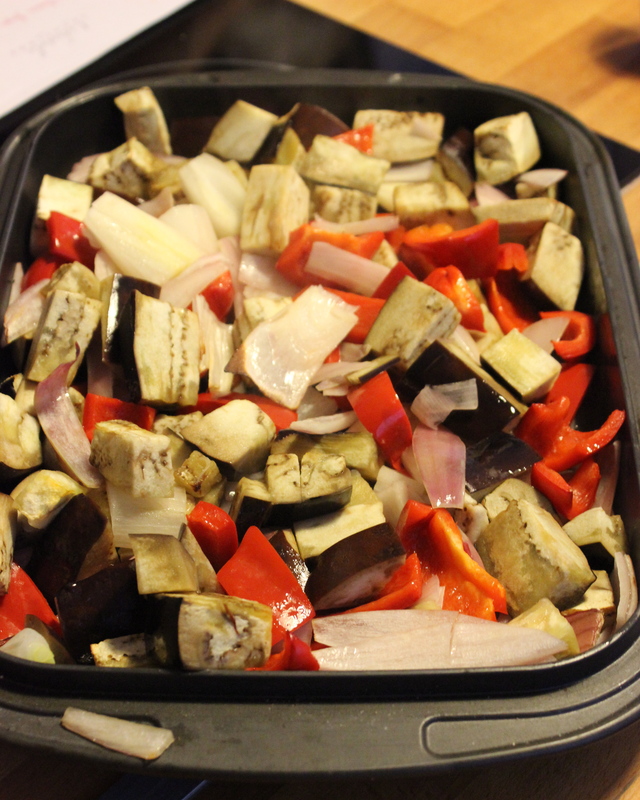 Toss the vegetables on a large baking sheet with olive oil, salt, and pepper. Bake for 40 minutes. 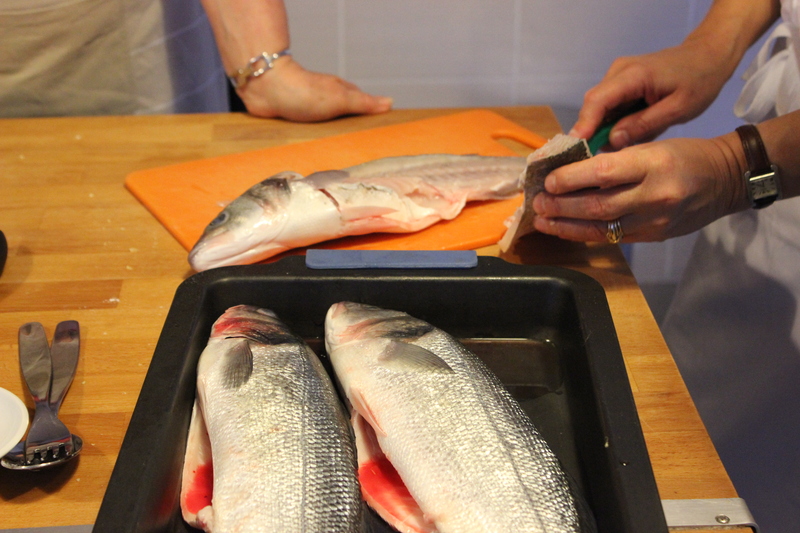 Take them out to toss halfway through to ensure that they cook evenly. 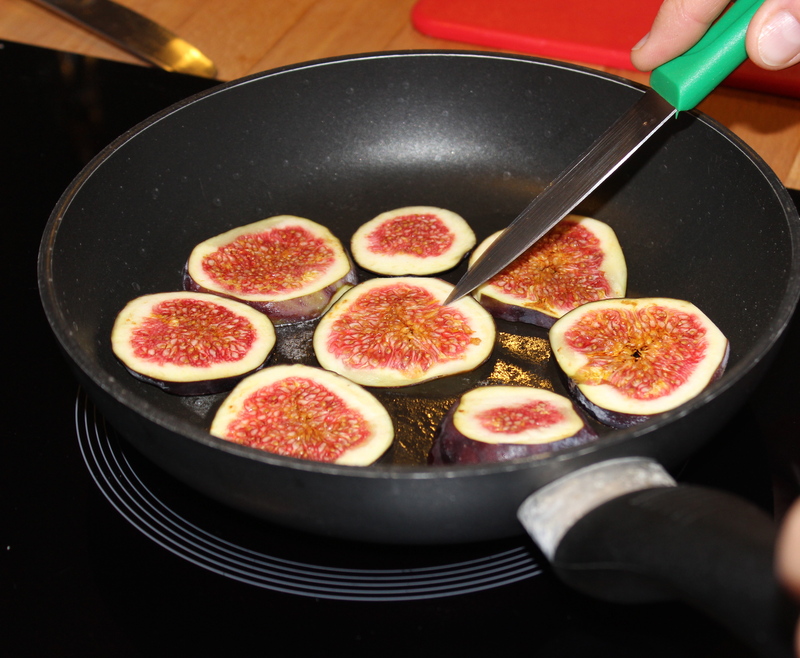 Drizzle the agave on the vegetables (optional) and bake for 10 more minutes, until the vegetables are very tender. 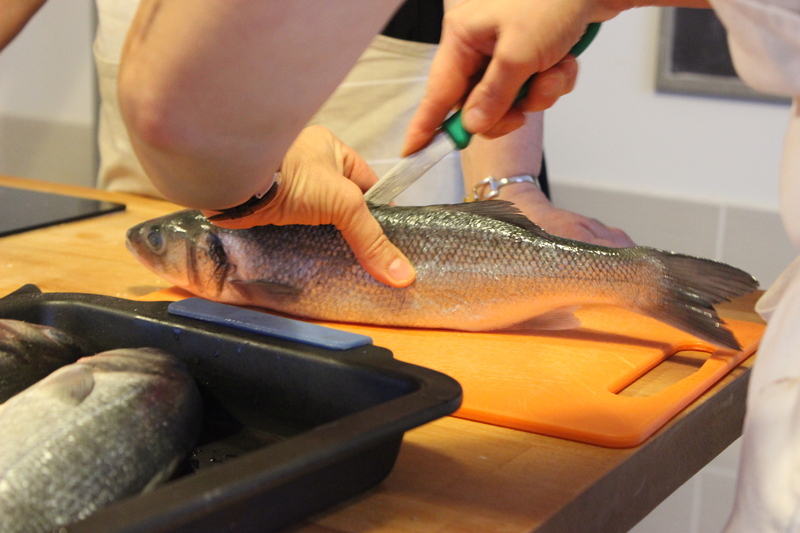 In the meantime, prepare the fish. 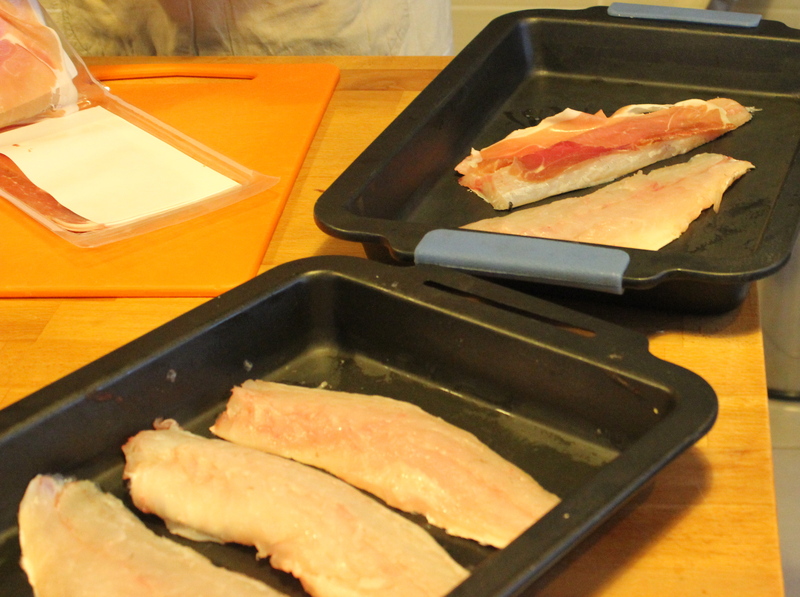 Grate the scales and fillet them. 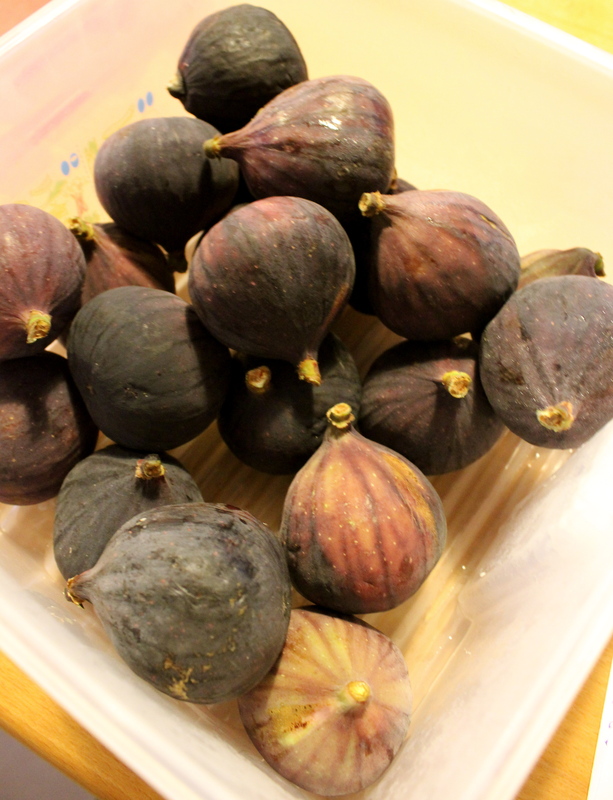 Slice the figs and saute in a little bit of butter, or agave, or olive oil, for 3 minutes. 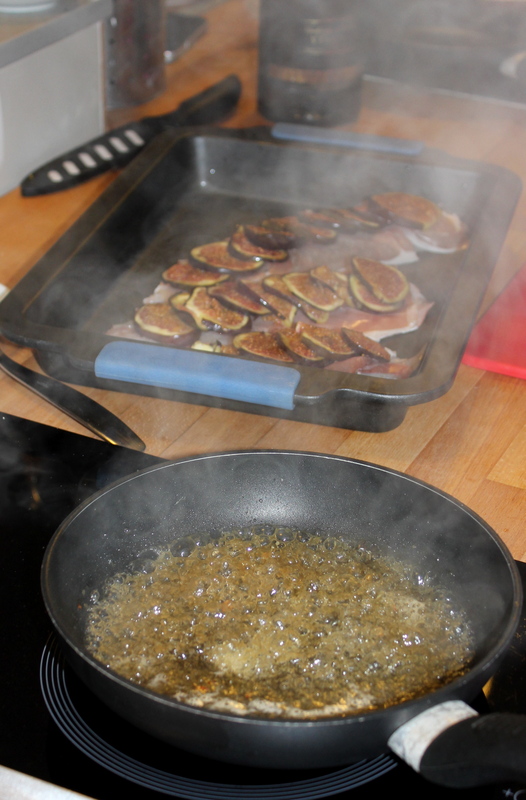 Drizzle a little olive oil in a large baking dish. 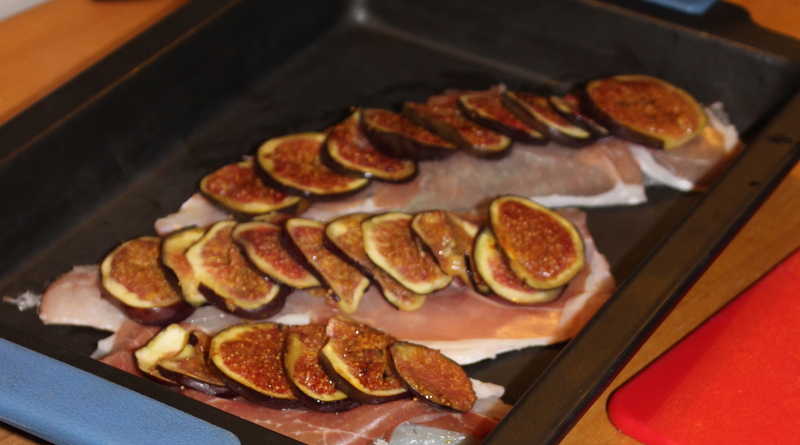 Put the fish fillets in the dish and top each with a slice of prosciutto and layered figs. 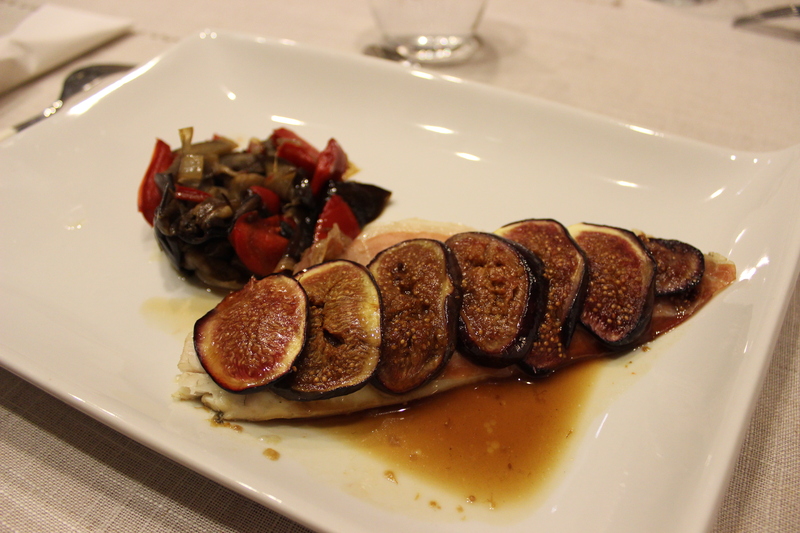 Cover with parchment paper and bake for 10 minutes at 500 degrees F.
While the fish cooks, deglaze the pan in which you cook the figs with white wine over low heat and let cook for just a few minutes so that you have a warm sauce to serve with the fish. 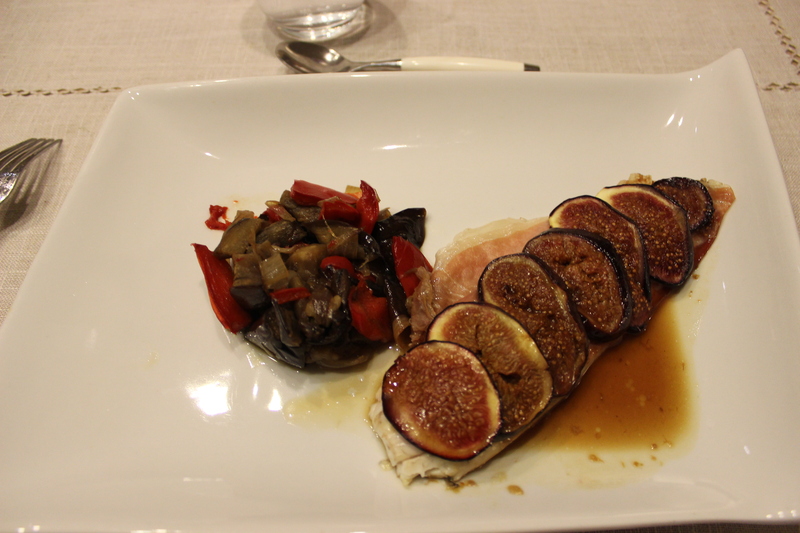 Seabass with prosciutto and figs and a side of roasted vegetables.